I didn't really have much of a plan going into this nail art look. 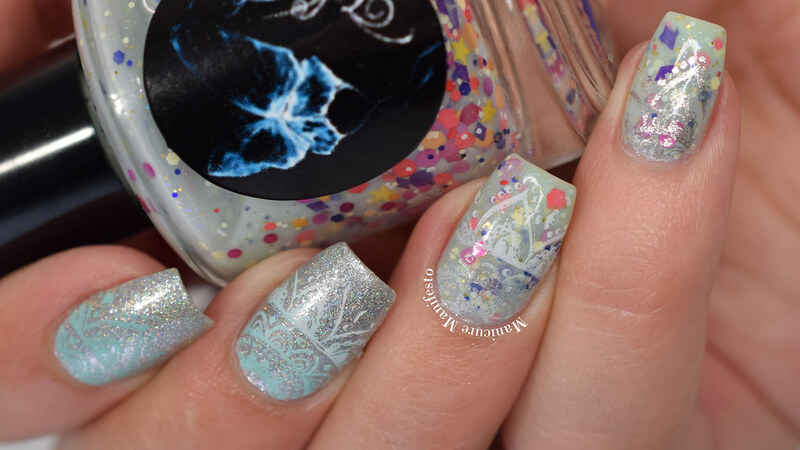 I gathered some polishes with a cohesive mix of colours and it turned into a mix of glitter crelly, metallic and stamped gradient. 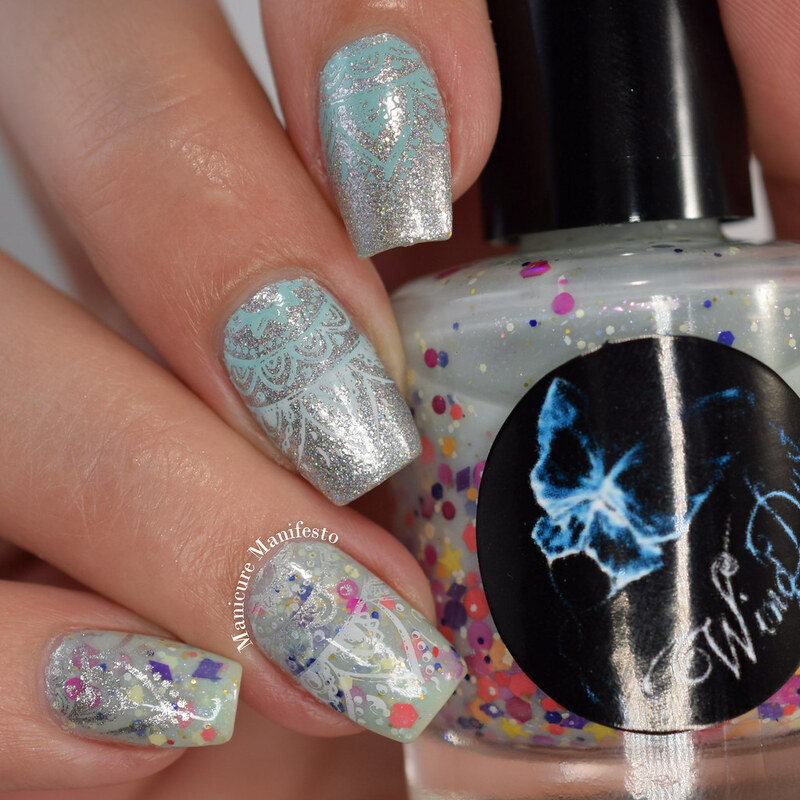 I started with a base of Girly Bits Cosmetics Patronus, a flecked metallic silver, and WingDust Collections Puzzle Piece, a pale green crelly with a rainbow of glitters. 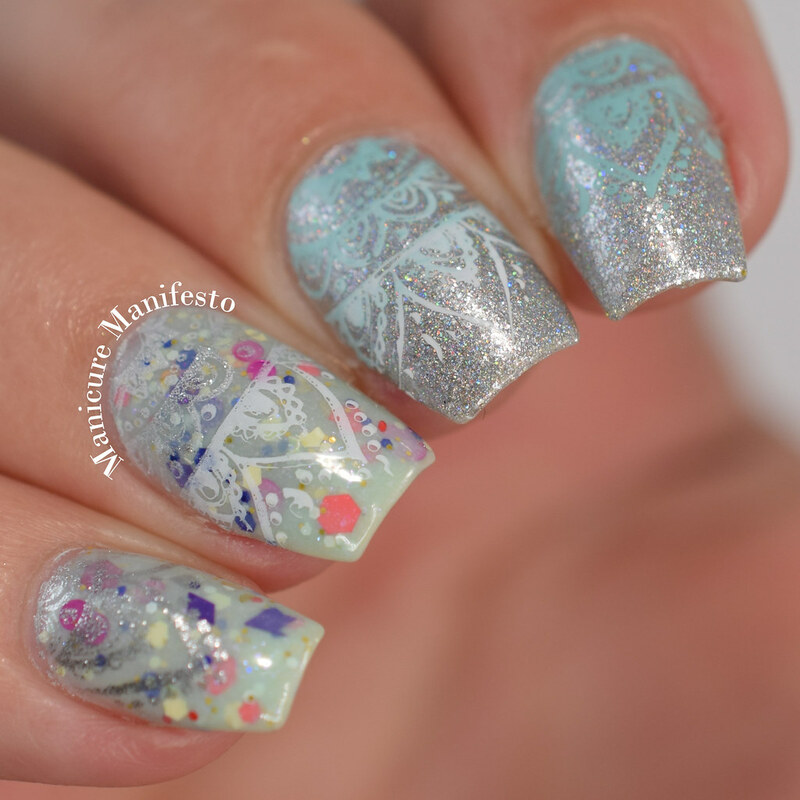 I used Born Pretty Store plate BP-L014, Emily De Molly Tiffany Blue stamping polish, Color Club What A Drag and Konad White stamping polish to add the mandala-esque designs. A coat of Girly Bits What A Rush top coat sealed everything up.